Meet True North's New Lady Boss! My name is Alyssa Woitach and I am a #realtruenorthbride. Getting married in September of 2017 was such a life changing experience. Not only because I got to have an amazing party with all my closest people and marry the man I have loved since high school, but because of the way it changed me. My wedding was absolutely everything I hoped it would be. And now looking back, I know that it was something I created (with a lot of help of course) by sticking to what felt authentically me. You know that saying “your vibe attracts your tribe?” I never truly felt the power of that until planning a wedding. I was drawn to True North for this very reason. It felt right. I visited several other shops before I found True North, and my experience at those other places wasn’t bad, but it also wasn’t me. I wanted something more intimate, more relaxed and quite simply more enjoyable. The experience at True North did not disappoint. I was so excited for my appointment and when I got there I had a blast meeting Katee and trying on unique and beautiful gowns. I instantly knew this place was special. Katee made me feel right at home and ultimately helped me find the perfect dress. I was actually bummed when I picked up my dress. Not because my dress wasn’t incredible, but because my time working with Katee and True North had come to an end. 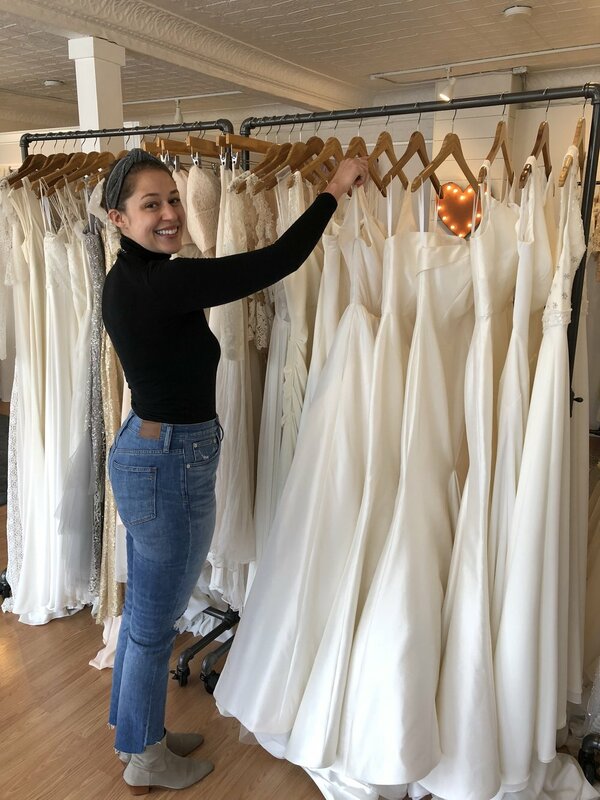 So when Katee approached me about taking over True North Bridal Studio about a year after I found my gown there, it was one of those full body yes situations. Like I said, getting married totally changed me. It made me want to be a part of this pivotal time in other women’s lives. I want to help brides look and feel their absolute best when they say “I do”. But more importantly, I want to help women celebrate themselves and celebrate the life they’ve created with their partner. 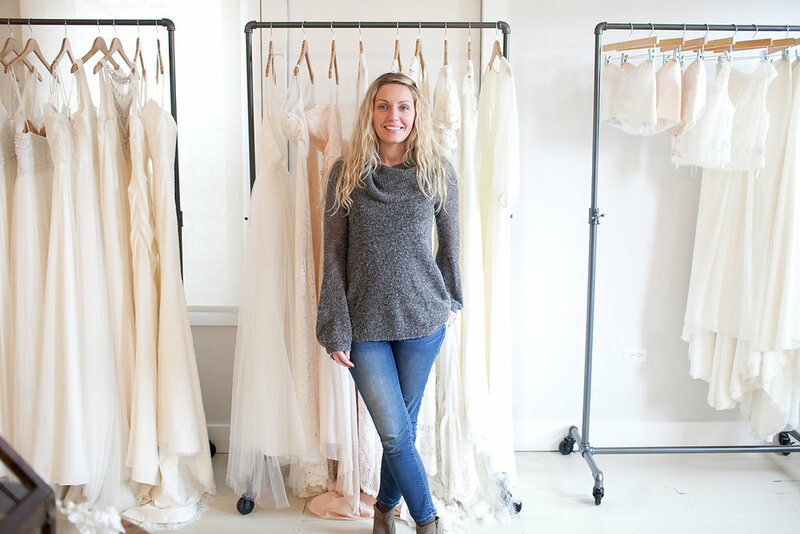 Katee and True North Bridal Studio were such a big part of that magic for me, and I feel truly honored to have the opportunity to carry on that legacy. A little more about me... I grew up in Upstate New York, but for the past 5 years have lived outside Manhattan in Jersey City, New Jersey with my boyfriend turned husband Nick. I’m thrilled to be back Upstate because I never really stopped considering it home. We got married at Ommegang Brewery in Cooperstown NY and I’ll never stop dreaming about that perfect September day. I’ve known Nick since high school, but I still feel like our story is just getting started. I love exploring new places, and I have a borderline obsession with small towns and small businesses. In a way, I think I’ve always known I would have my own one day. Going for a hike, then relaxing at a local brewery or enjoying live music somewhere is a pretty ideal day for me. My favorite food is sandwiches and I love iced lattes and ice cream. I also think I’d easily drop ten pounds if I stopped eating cheese, but what kind of life is that? Thankfully, I also love working out. I like to mix it up. Anything that involves moving my body (except running… I don’t enjoy running). I’m a proud introvert and a pretty big homebody. I’m always looking to slow down and enjoy the simple things in life. Like when you get to change into comfy clothes at the end of a long day (bye bye bra) or when your homemade pizza on a Friday night is the perfect amount of crispy (yes, I love food). Even though I’m introverted, what I really love is connecting with people. The tribe of friends and family around me is truly what makes this life worth while. Real connection is all about being yourself. That’s where the magic is. I’m continuously working on becoming the best version of me, so that I can better love and support the amazing people around me. 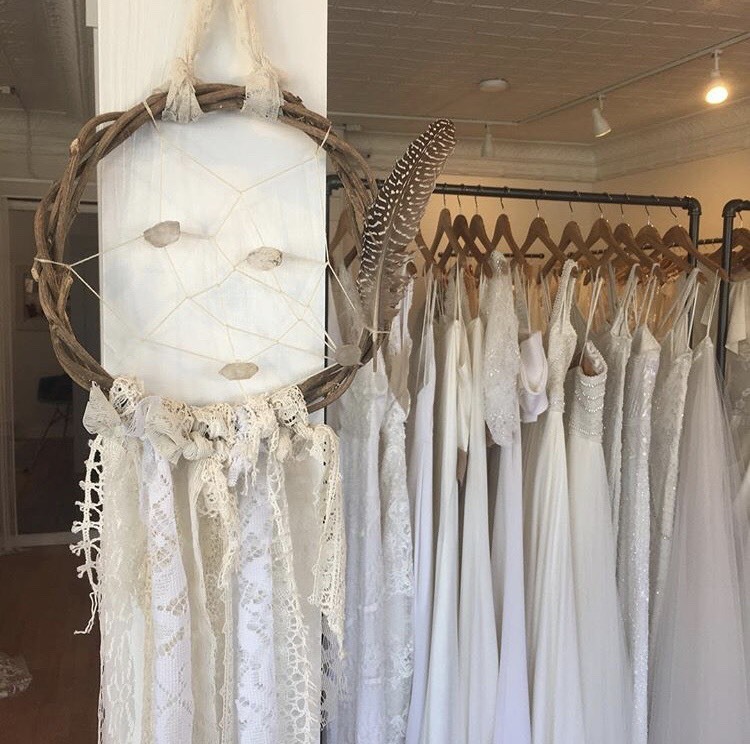 I’m so excited for this new chapter of True North Bridal Studio and to share that love and support with all the future brides that walk through the door. It's not everyday that you get to watch a dream that was once in your head, slowly begin to take shape before your very eyes, and then turn into a reality. Over these past five years I’ve poured my whole heart and soul into this small business, and although its bittersweet - I’ve made the thoughtful decision to sell the shop. I’ve always navigated my way through life trusting my gut and intuition, and the timing couldn’t feel anymore right to pass along this sweet little business to none other than a past True North bride! I’m beyond excited to have found someone who not only aligns with the ethos of the shop, but is just an overall awesome human being. To know her is to love her, so I can’t wait to have the chance to introduce her to all of you this week! It’s hard to find the words to express how this little business has changed me, but it has. I’ve gotten to hold space for so many women, allowing them to be their most authentic selves by celebrating their uniqueness. I’ve gotten to hear love story after love story, each one different - yet always leaving me in awe of the power of timing and the grand gesture of promising forever to your best friend. I’ve also gotten to meet SO MANY incredibly kind, creative, supportive, inspiring people because of True North, and for that I am forever grateful. So before the waterworks really begin to kick in (who am I kidding? I’ve been a balling mess from the first sentence), I just want to say ‘thank you’, to each and every one of you. If I could give you a big bear hug right now, you know I would! I’ve had the best time creating, building and growing this business. It’s now time to pass it along and watch it thrive in new ways. The next adventure awaits! One Year Anniversary Discount AND Winter Sample Sale! 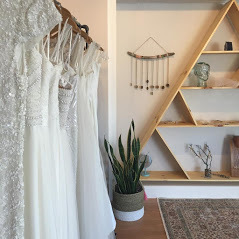 On December 1st, True North Bridal Studio officially turns One Year Old. Holy smokes, y'all! The saying is true, time really does fly when you're having fun. To help celebrate, we wanted to offer all of you awesome brides-to-be a little something special. For the whole month of December, we will be offering a 10% discount on all wedding gown purchases! AND we will also be holding our very first Winter Sample Sale! There will be a handful of select gowns starting as low as $700, that you can walk away with that day. Please note that the sample sales gowns will not be included in the Anniversary discount. Cheers to you and finding that perfect dress, hope to see you in December!